Recently I’ve been packing on the pounds. 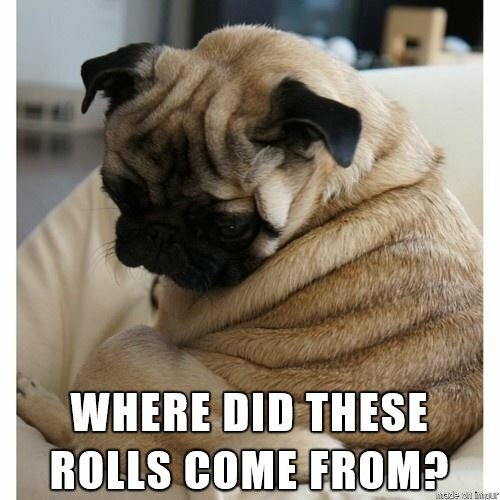 Mostly this is my own fault, what with binging on belated Easter chocolate from my mom, and Ricky and I convincing ourselves it’s okay to eat candy 24/7, but once my dresses began fitting too tight and my belts suddenly couldn’t round the circumference of my hips/belly I knew I had to clean up my act. Accurate. Photo from Funny Junk. I’ve made the very well-intentioned, self-imposed rule that I am only allowed one cheat day (on which I can eat things like candy, chocolate, pizza, burgers, ice cream, and everything else under the sun that’s tasty). All the other days, I must abstain from anything unhealthy, substituting fatty snacks for vegetables, fast food with home cooked meals, etc. While this is a challenge anywhere in the world (what with fighting cravings), it’s nothing quite like how I’ve been experiencing it in Korea. The main problem: their choices of healthy foods are sorely low. What I find perplexing about this is the fact that this country is so health conscious. Koreans are famous for going to the gym and taking part in sports – and yet their food consists mostly of fatty pork, fried chicken, pizza, and so. much. rice. In fact, a co-teacher told me that she eats rice three times a day. Seriously, I’m pretty sure what started off my weight gain was the sheer amount of carbs consumed. My life here. Photo from reddit. 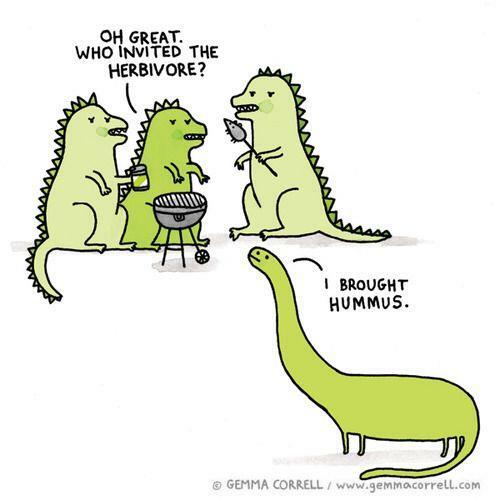 But what about veggies? Surely they have those…? Truth be told they have very few vegetable options aside from those that have been fermented and pickled (ex. 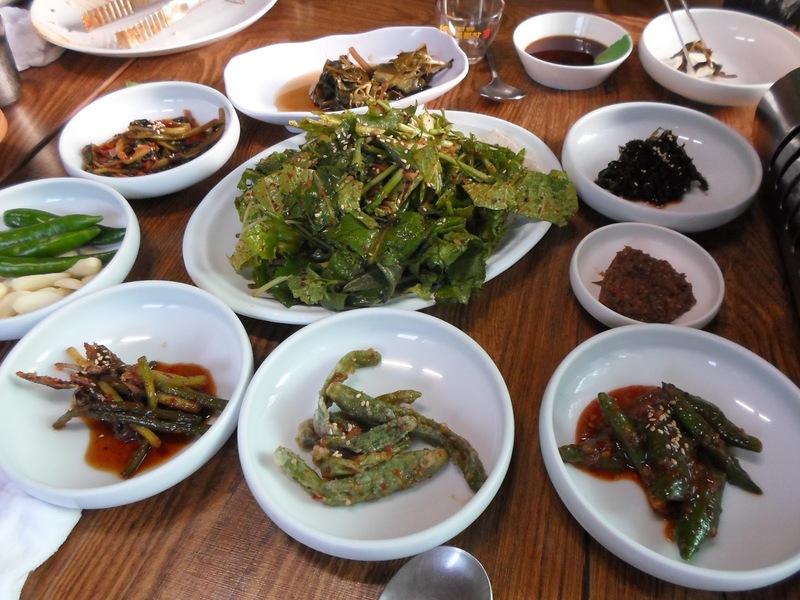 kimchi, preserved radish, sweet pickles), and those dishes which do contain fresh vegetables are usually slathered in spicy red paste which, to say the least, does a number on the digestion tract. So much ferment. Very red paste. Photo from Rokin Daegu. Well that’s easier (and cheaper) said than done. 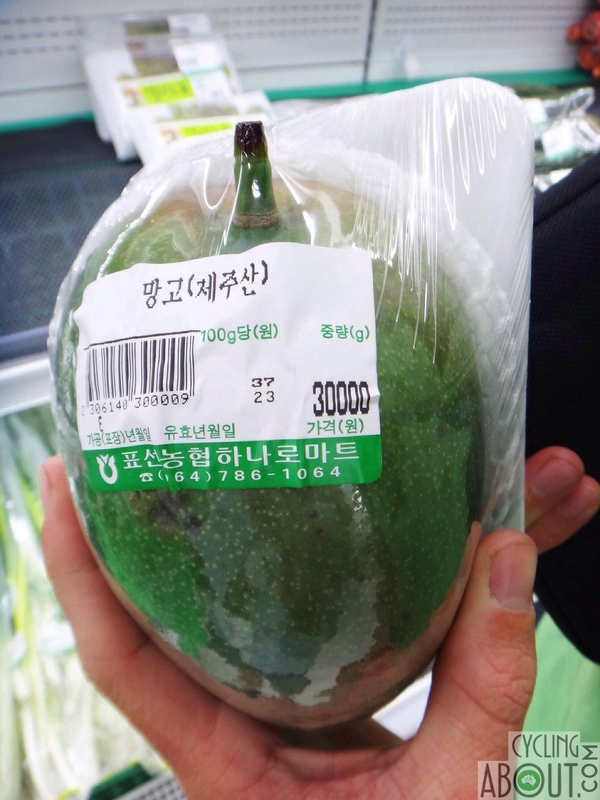 Buying your own groceries in Korea is expensive, mostly because you have to buy in bulk. You don’t just choose your own fruit and veg by putting it in a bag and weighing it; instead, you get pre-packaged styrofoam mounds of hot peppers, bok choy, spinach, garlic, ginger, mushrooms – the whole kit and caboodle. Definitely more than two people can eat, let alone one (hence my even poorer diet before Ricky and I started dating). The fact that it’s sold in bulk is mostly because the only people who really cook for themselves at home in Korea are the ones living in big families. For instance, the grandmother lives with her child and their wife/husband and children and makes food for the whole family. 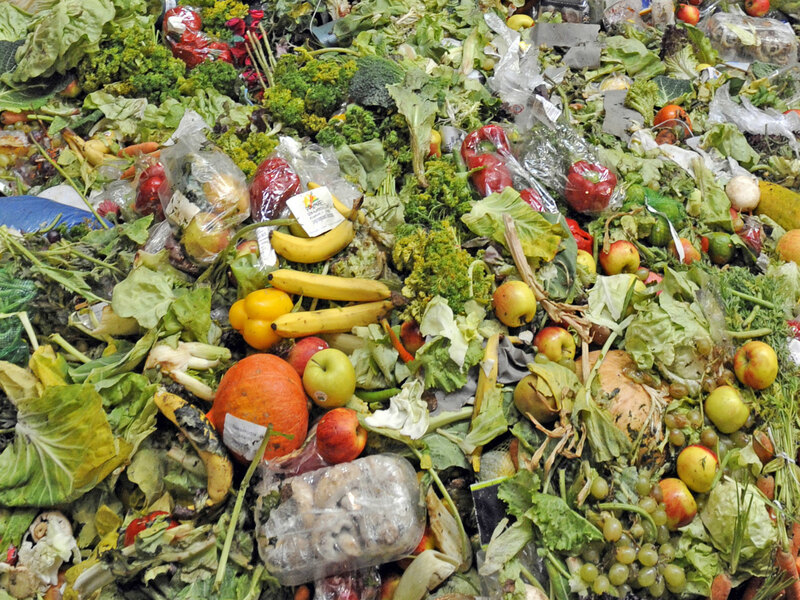 It makes sense to buy that amount of food for that many people, but buying for one-off meals means a lot of food waste as it goes off much quicker than you can eat it. Which is both a frustrating waste of produce and money. While some fast food restaurants have specific garbage cans for food waste, and there *should* be composting options for our apartment buildings, mine has no clear specifications as to how to do this, and Andrea has to pay for depositing food waste on a special card which she was never able to get (not being able to speak Korean well enough to inquire about it). Photo from The Independent. That said, we still buy it anyway because there isn’t much choice otherwise. Another go-to healthy food option that seems obvious is fruit. Whether it be pulverized into a smoothie or eaten as is, I love me some fruit. I’m one of those weirdos that’s okay with having fruit in pretty much anything – savory sauces, salads, stews…put some fruit in, and I’m all over it. Here, however, fruit of any kind is ludicrously expensive. Bananas, for instance, cost twice the price as back home and are only half the size. Apples on the other hand are absurdly large. While this might balance out their cost (approximately $2-3 per apple, they are never sold singly which means you’re paying sometimes upward of $15 for 4 or 5 apples. Watermelons are one of the most notorious at $25 in the off season (though I’ve found a wagon vendor in my area where I can get one for a bargain of $3 at the down-peak of summer when they start to get overripe). Mangoes are the worst, though, where a single mango can easily cost $10, though I’ve heard of them costing up to $20 or even $48. A W30, 000 mango, or $30. Photo from Cycling About. In other words, I love fruit, but it’s so hard to include them in a diet when you’re on a budget. But what about salads? Salad can be made anywhere and out of anything. Sure they can. But there isn’t anything to put in them unless you like plain lettuce and the very uninspiring combo of cucumbers and carrots every time. Back home I adore salads – but I would put more than a little TLC into them by concocting inspiring combos including spinach, feta cheese, olives, pomegranate seeds, sunflower seeds, maybe some alfalfa, or dried cranberries and dates, or even perhaps some almond slices and fresh fig. I’d go all out. I’m a strong advocate that a salad is only as interesting as you make it. Salads here are, therefore, by nature of lack of available ingredients, exceedingly uninteresting and not very filling or nutritional. I have become very good at making my own salad dressings (since Korean salad dressings are all sweet and syrupy), but there’s only so much you can do to mask the fact that you’re eating forkful after forkful of iceberg lettuce. As for healthy-option grains like quinoa, buckwheat, whole grain, brown breads…non-existent. Sure, you can order off iherb.com (which I do recommend checking out wherever you are in the world – free shipping if you buy over $40 and very reasonably priced organic spices and packaged foods), but especially these days with Korea tightening up its international import security, it could take over a month for your food to arrive. And let’s face it: this is not really a budget option either since $40 a pop adds up if it’s all you’re subsisting on. As for healthy snacks here, you’re going to find yourself constantly starving. Korea has plenty of snack options, but few of which are healthy. Where back home I might crunch on some celery with hummus, both of these items are a pipe dream. 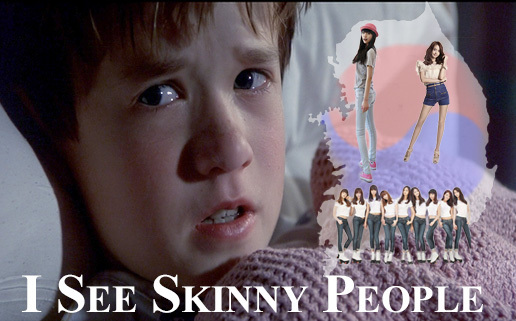 How I feel as the odd one out in the carnivore society that is Korea, wherein they constantly feast on pork. 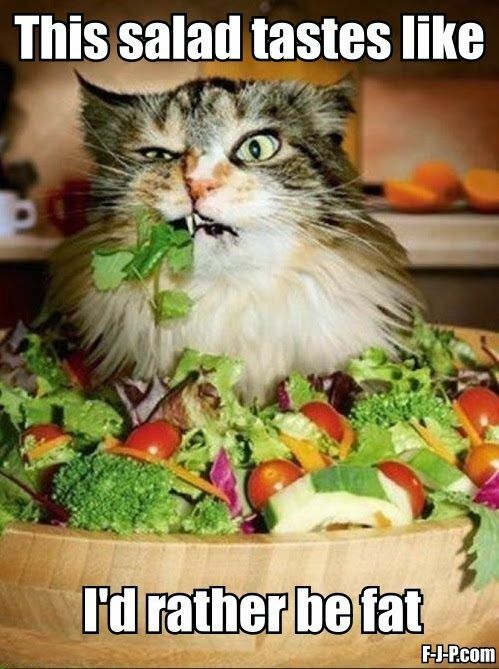 Photo from Como Ser Vegano. Nuts of all kinds are heinously expensive unless you go to a World Food Mart and get them (somewhat ghetto-like) out of ziplock bags. There exists dried fruit, but again, it’s very expensive. Most Korean snacks I’ve found to be some form of rice – rice cakes, rice wafers, puffed rice granola bars – or stuff like ramen and processed meat sticks, the kind of which are found in convenience stores. I’m in complete bafflement as to how Koreans stay not only fit, but so slender they’d pass as anorexic in the West when this is all that’s available to them. They’re everywhere and making me feel bad about myself even as I strive to exist on cucumbers and carrots. Photo from Kimchibytes. Meanwhile I’m famished most of the time because I’m bored of the one or two options of food I have to snack on – usually bananas and those ziplock backs of nuts from the World Food Store. I’m also broke from spending so much money on healthy ingredients to do home cooking, and ultimately at a loss as to how to consume enough healthy, full-balanced meals throughout the week wherein I can both use the produce before it spoils and make sure I’m not repeating the same few recipes every other day. Anyway, I don’t really have any solutions to this, but if you guys have any suggestions or have gone through similar circumstances I’d love to hear! It would at least make me feel better for powering through the rock and a hard place I seem to be in. 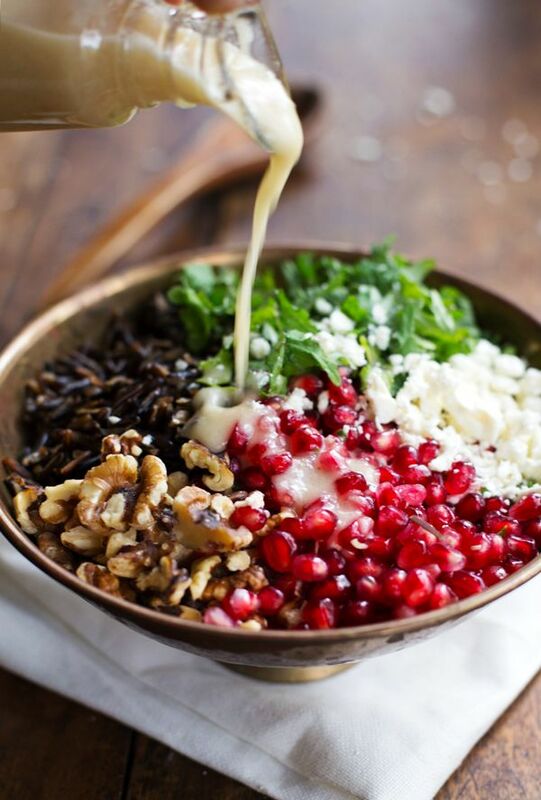 Pomegranate, Kale, and Wild Rice Salad with Walnuts and Feta. Photo from Pinterest. you should try to hit some of the local markets; much cheaper fruit and veg compared to the marts! I was also going to suggest local markets too, but egads! 😝 I would’ve jumped 10 feet when that exploded! Oh man…I’m in the exact same predicament as you. My dresses have stopped fitting so it’s time to diet. It’s so hard to do here! We did find quinoa at Homeplus but yeah it’s expensive. I also found smoked salmon on sale (1+1) so I stocked up on that but yeah…even when you find a good recipe you are usually missing many of the ingredients. I’m moving to America in 3 months and I can’t wait to have so many healthy food options! Hi Marta, I understand your frustration and sympathize. Since you have to purchase veggies in bulk have you considered making thick soups and also stews and freezing a few containers of them for meals at a later time. Keep in mind though that frozen pasta and rice does not turn out too appealing, but can be added fresh when you heat up a frozen portion of your creation. Also you could add different herbs, sauces and spices to your basic frozen veggie or veggie/meat creation to add variety during the week. You might think of doing your cooking on the weekend which would save time and energy during the week,wherein you just reheat and serve. You’re a beautiful woman, look in the mirror,you are glowing with health, accept yourself, don’t compare yourself to others, that’s always an exercise in futility on every level for everyone. Much luv A/C. I survived off of Chamchi deopbap for four years. There are some healthy dishes at your cheap kimbap restaurants. Do some research and you’ll seeeeeeeeeeee. It’s cheaper and easier than cooking. I usually only ate a little bit of my rice and I dropped about 30 pounds in Korea. Nope…I’m Canadian. Also probably the least picky eater in the world; I’m like a human equivalent of a goat. I’ll eat anything. I just prefer having both variety and access to healthy food.